Welcome to Dr. Dave Bennett's spinal cord injury research group at the University of Alberta in the Centre for Neuroscience. Dr. Bennett’s laboratory examines the spinal cord after injury, with the objective of trying to understand and enhance recovery of motor function after spinal cord injury. Using humans and animal models of spinal cord injury, his group examines changes in channels and receptors in neurons that control muscles below the injury, and examines optogenetic and pharmacological methods to compensate for loss of injured neurons and connections. The results are directly applicable to promoting recovery of locomotor function and treatment of unwanted spasticity in humans after spinal cord injury. Click here for information on Graduate Studies in the lab. Audio summary of recent discoveries: CBC radio interview about our Nature Medicine paper. Video: New therapies and CBC interview (go to 18:40 min) Text: Oxygen improves function after spinal cord injury. New therapies for injury. Rehab News. Older news releases: Spasticity treatment. 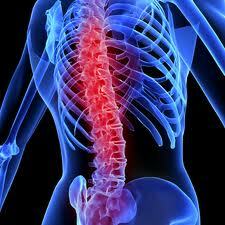 Spasms after spinal cord injury.